Exercise is defined as any activity requiring physical effort carried out to sustain or improve health and fitness. Throughout our lives, people have been preaching the importance of exercise in order to maintain a healthy body. 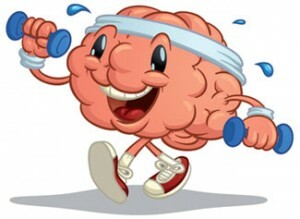 One aspect of physical activity that is rarely discussed is its effect on a persons brain. I feel that exercise of any type makes me more mentally alert than then when I am sitting around being lazy. 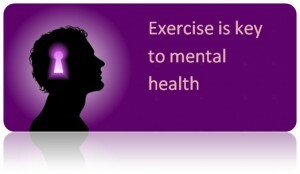 Is it possible that exercise can improve a persons mental awareness? It turns out that scientists have been asking this for quite some time. An article written in the Physical & Health Education Journal focuses on the possible mental benefits of exercise. Scientist Atkinson Russell makes it clear that he believes exercise can improve a persons mood, concentration and memory. A team of scientists lead by Russell conducted an experiment to support his claim. In 2012 they evaluated children from various schools around the United States on their mental abilities. Once sufficient data was collected, the scientists introduced a new physical engagement program to the school that involved several fun activities. Teachers were encouraged to let their students participate in the program at least once a day before a lesson. After a year, what the team found was that the students mental ability had improved faster than the normal rate for kids their age. They were more engaged in school work and more involved within the classroom. This study provides decent evidence to suggest that exercise can have mental benefits. However, factors such as limited sample size and possible confounding variables cause speculation about its legitimacy. While this may show that casual exercise improves young children’s ability to learn, it does not prove that physical activity can directly benefits someones brain. The New York Times published various studies done by a team from the University of Illinois that all give convincing evidence to support my claim. In their first trial, 21 students were randomly selected and given a test that evaluated their memory. The students were then randomly instructed to either sit, run, or lift weights for about thirty minutes. When the team tested the students again, they found that ones who ran performed signif icantly better than the other two groups. In a similar study, the team assigned exercise programs to a group elderly people. One group was instructed to exercise by walking, the others were told to stretch. After six months of daily exercise, the team found that the group of walkers were more mentally active and improved noticeably on tests of memory. Both studies provide decent evidence to support my conclusion. They are done professionally and carefully. Although reverse causation can be ruled out, there could be a confounding variable causing the mental improvements. Despite the small sample sizes, the findings from both of the University of Illinois studies strengthen my claim that exercise can make a person smarter. None of the three studies that I looked at provided enough evidence to conclude that exercise makes a person smarter. However, they present valid results that can persuade a person who is skeptical about my claim. To a reasonable person, there is enough evidence from these studies to make it obvious that exercise definitely has some mental health benefits. Although it may not make you a genius, it definitely gives your brain a boost. This entry was posted in Uncategorized on November 30, 2016 by Connor Edward Opalisky. Good read, I agreed with you the whole way through! As someone who was particularly lazy and then started to exercise on a consistent basis, I have seen both sides of this argument. Since I began working out regularly I’ve noticed a lot of change, and not just physically. I would say I feel more energetic on a day to day basis, I sleep better at night, and probably the most important- it just makes me feel good about myself. These are just some of examples of the positive outcomes that exercise has had on me. Here’s a good, slightly different, article on the relationship between working out and depression. It isn’t too long and is very interesting!